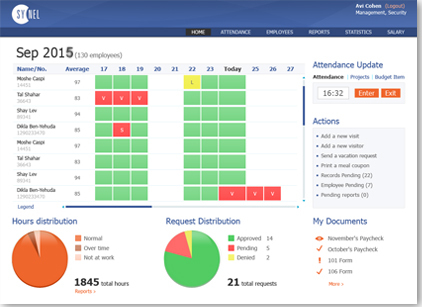 HARMONY Cloud enables remote uploading, feeding, control and viewing of attendance data via internet browser. Data is available constantly in accordance with user defined permissions. To learn more about the HARMONY Cloud, please fill-out the short form or write us at information@synel.com.